Fishing, Theatricals & Fascinating Guests! The Kings Arms Hotel in Castle Street, Christchurch, is a Grade II Listed building. The oldest part was built in the 18th century on the site of an 17th century inn. The larger part of the hotel was built in 1800 and opened by Mr & Mrs Thomas Humby in 1803. It is fabulously situated opposite the Norman “Constable’s House” and The Kings Arms Bowling Green and close to both Christchurch Quay and the town centre. In this blog, I have focused on the years 1914 to 1939. During this period, the hotel was noted for its excellent fishing and favoured by the theatrical profession; it was also the preferred local venue for auction sales, annual society dinners and wedding receptions. And in September 1939, it had some rather intriguing guests! 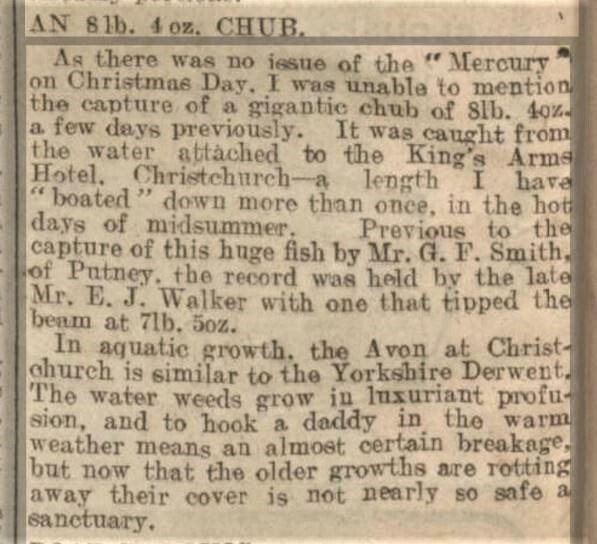 On New Year’s Day of 1914, the Leeds Mercury reported “the capture of a gigantic chub of 8 lb 4 oz” just before Christmas of 1913. The “huge fish” was caught by Mr G. F. Smith, of Putney in part of the Avon River, described as “the water attached to The King’s Arms Hotel“. 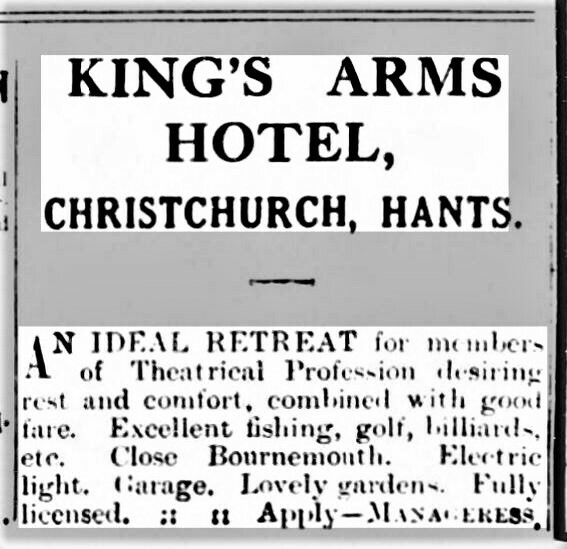 Six years later, in January 1920, The King’s Arms was being advertised in The Era and The Stage as “An Ideal retreat for members of [the] Theatrical Profession desiring rest and comfort, combined with good fare”. Once again, the hotel was recommended for “excellent fishing”. Right from the early 19th century, The King’s Arms Hotel was the place to hold local auction sales of land and property as well as of household, commercial and agricultural goods. In 1923, the Hampshire Advertiser carried an advertisement for one of its regular auction sales, which was to be held on 27th June by order of the Executors of Peter Derham Esq. The property for sale was a marine residence known as “The Bungalow” at Mudeford, set in two and a half acres of “Attractive Grounds…With tennis lawn, flower and kitchen gardens and paddock.” The auctioneers were Messrs. Hewitt and Co. of Lymington and Mr Grahame Spencer of Ringwood. In December 1930, William F. J. Coffey of Belle Vue, Old Milton Road, New Milton, an ex-naval man with “a very good discharge character” appeared in court on two counts of theft, the first being a jewellery robbery in Dorchester, the second being the theft of a bicycle from Harold Smith, who had left it in the yard of the Duke of Wellington Inn at Christchurch. Coffey told P. C. Perkins at New Milton that he had “borrowed a Humber bicycle” from the yard man at The King’s Arms. Coffey changed his story in court, saying that there was bicycle belonging to him at the hotel. He and his accomplice in the first theft, were sent to gaol by the Dorchester bench. On 6th June 1934, an advertisement was placed in the Gloucestershire Echo by the Chef at The King’s Arms; it said that he had thirty-two years experience and was “a first class man” with “highest references, successful record”. He was seeking a new position because he “desire[d] change”. A National Register of the population was taken on 29th September 1939 and this records that the Hotel Manager at that date was Sidney Barber, aged 38, who lived at the hotel with his wife, Winifred. There are “open” listings for eight members of staff who were resident at the hotel on that date: head waiter, Stuart Osbourne-Easson; waiter, Alain Ferruci; second chef, Alan Whittle; porter and yard man, Arthur Alfred King; kitchen porter, Edgar Mason; “Pantry Man”, Charles E. McDonald; “Hotel Dispenser”, Kathleen O’Brien; and chambermaid, Ethel Gateley. Among the hotel guests on the Register were two electrical draughtsmen, four young physicists and an Army officer, who may all have been working nearby on the same experimental military project at the start of World War II. The two electrical draughtsmen were Herbert Fawcett and Dennis Mettrick. The physicists were: Geoffrey E. F. Fertel, Robert Latham, Albert Ernest Kempton and William S. Elliott. Both Albert Kempton and Robert Latham (possibly also Fertel and Elliott) had been students of Ernest Rutherford and, in around 1937, they had worked with him at the Cavendish Laboratory at Cambridge University on the construction of a new type of particle accelerator called a cyclotron. The Army officer staying at the hotel was Captain (later Brigadier) Alexander Meister Anstruther, who was to become, in 1940, part of “Churchill’s Secret Army”, the Special Operations Executive. He also became a Companion of the Order of the Bath in the Coronation Honours of 1952. There were various experimental research stations in the vicinity of Christchurch during the Second World War, notably the Military Experimental Engineering Establishment (MEXE), which developed and erected the first prototype Bailey bridge. 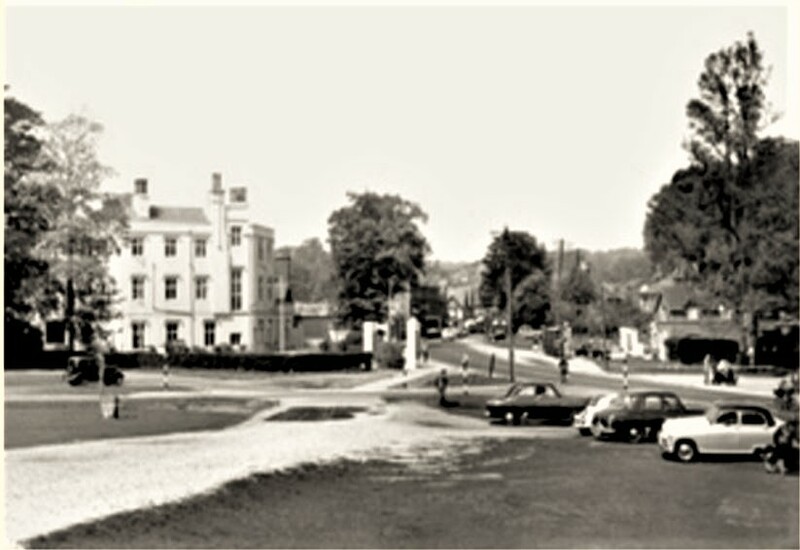 However, the gentlemen staying at The King’s Arms Hotel were probably attached to the Air Defence Experimental Establishment (ADEE), which had been hastily relocated to Christchurch from Biggin Hill just after war was declared in August 1939. The ADEE, later renamed the Air Defence Research and Development Establishment (ADRDE), was concerned with research into gun sound ranging and acoustics and, since 1936, it had also been carrying out radar research. ADEE developed a radio location system, initially for coastal artillery and later for detection of low-flying aircraft. There were two guests at The King’s Arms Hotel, who were well known for a very different reason. They were 62-year-old Mrs Jessie Hagenbach, “Retired Company Director”, and her son Charles Edward Hagenbach, who was a “Doctor and Medical Practitioner”. Jessie was the widow of Swiss-born “Confectioner and Caterer”, Charles August Hagenbach. The Wakefield-based bakers, Charles Hagenbach and Sons, was one of Yorkshire’s biggest bakery businesses with nearly forty shops and restaurants in the county. Charles Edward’s younger brother, Arnold (who died aged 100 in 2005! ), took over the business from his father in 1929 and he continued in that role until he sold the business to Allied Bakeries in 1957. Visit The King’s Arms Hotel to experience a charming piece of Christchurch’s history first-hand. The period between 1930 and 1943 was an eventful one for The Royal Exeter Hotel. “Highlights” included a meeting of the International Football Association and a daring robbery! And the National Register of 1939 gives a fascinating snapshot of the hotel residents just after the outbreak of war. On the weekend of 14th/15th June 1930, the Board of the International Football Association held its annual meeting at The Royal Exeter Hotel, with participants coming from Great Britain and Ireland; also France and Germany. The Saturday meeting, which lasted two and a half hours, was held in private and presided over by Mr W. Pickford of Bournemouth, senior vice-president of the English F. A. Afterwards, the Football Association entertained delegates to lunch at the hotel and later, they were the guests of Mr and Mrs Pickford for tea at Mount Pleasant, Pokesdown. The programme for the Sunday was a motor drive through Dorset to Weymouth for lunch and to Shaftesbury for tea. Much of the business was conducted informally, with one of the topics under discussion being the contentious matter of part-time payments to players; another presumably being the upcoming England-Wales match (5-0 to England) that would be hosted, in February 1931, by Bournemouth & Boscombe Football Club at its Dean Court ground. The Royal Exeter Hotel was in the news again on 8th January 1932, when The Western Gazette carried a story entitled, “The Masquerading Robber” about “four daring robberies” of over £400 worth of jewellery and money from hotels. The robberies were carried out by two men: Harry Creighton-Bird and James Maloney. Harry Bird, the shorter of the two, was masquerading in women’s clothes when he was arrested at The Royal Exeter Hotel on Boxing Day of 1931. He was also charged with attempting to shoot P.C. Lyne with an automatic pistol whilst being questioned at the police station. In the weeks prior to the incident at The Royal Exeter Hotel, the pair had already carried out robberies at the nearby Vale Royal Hotel, Highcliffe Hotel and The Grand Hotel at Lyndhurst. However, Harry had already attracted too much attention at The Highcliffe Hotel on 13th November, by wearing a red skirt, leopard skin coat and dark red felt hat! Suspicions were first aroused at The Royal Exeter Hotel on Boxing Day when Harry Bird used the hotel lavatory and Fred Brown, one of the hotel porters, instructed another porter, Ivor Thomas, to discreetly observe the “lady”. As Ivor Thomas passed Room 27 on the second floor, he saw Mr Bird coming out of the room backwards and bidding “Good afternoon” to “some imaginary person in the room”. The thief was holding a case, which was later found to contain nineteen rings and other jewellery, valued at £100, the property of 80-year-old widow, Mrs Hannah Sarah Holyoak of Leicester. Ivor Thomas showed Harry Bird to the lift and then rushed down the stairs to raise the alarm. The other porter, Fred Brown, challenged the robber when he came out of the lift and he and the hotel manager took him to a private office; detaining him until the police arrived. Bird’s partner in crime, James Maloney, was discovered a little later in an Essex saloon car that was parked 200 yards from the hotel. Inside the car, police found two suitcases of men’s and women’s clothes. At the police station, Harry Bird said repeatedly, “Freedom is everything to me”and when asked in court why he drew his revolver, he explained that he had intended to shoot himself. The proprietor of The Royal Exeter Hotel in 1930 was William Arthur Cox. He had previously worked at The Grand Hotel in Trafalgar Square; where he was Assistant Manager in the 1890s and General Manager by 1901. He and his wife Violet Minnie, had taken over at The Royal Exeter Hotel after Henry Newlyn died in 1912. 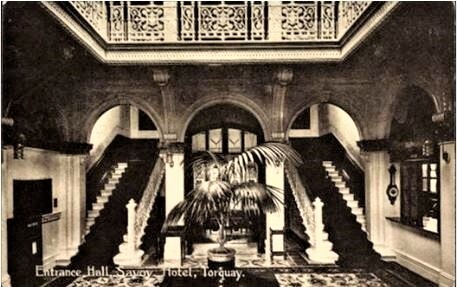 William was also Chairman & Managing Director of the Exeter Hotel Co. Ltd and proprietor of The Savoy Hotel, Torquay. 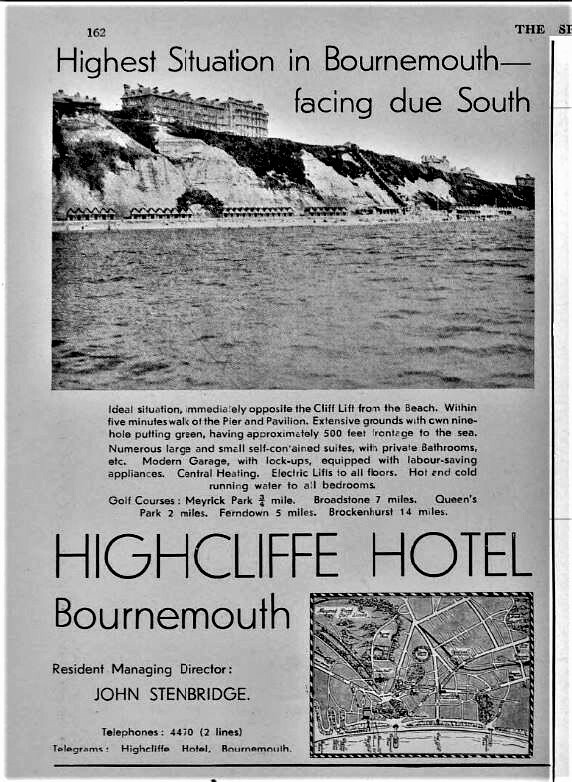 In 1932, William and Violet were living in a spacious Victorian villa called Marionbaree at 20 Dean Park Road, Bournemouth and William’s 54-year-old son, Hubert Henry was now manager of The Royal Exeter Hotel. William Cox died on 30th September 1932, leaving property with a gross value of £36,267. On September 29th, just after the outbreak of war, a National Enumeration Register was compiled, providing a “snapshot” of The Royal Exeter Hotel and its residents on that date. William Cox’s widow, Violet was listed as Hotel Director, whilst her step-son Hubert was still Hotel Manager and living at the hotel with his wife, Edith. There were at least nineteen members of staff living on the premises, including a receptionist, a cashier, kitchen staff and porters, a lengthsman, a doorkeeper, a housekeeper, five chambermaids and a page boy! Divorcee, Gabrielle De-Clerck, aged 32. On 17th September 1943, the Western Gazette reported that The Royal Exeter Hotel had been sold for “an undisclosed figure”. The Cox family had “conducted the hotel” for over 30 years.At the time of the sale, the visitor’s book contained the names of the Empress of Austria, who stayed at the hotel with her daughter in 1888, the Dowager Duchess of Saxony, who visited in 1905 and the singer, Adelina Patti. Visit The Royal Exeter Hotel to experience a wonderful piece of Bournemouth’s history first-hand. I spotted a jay on my icy walk this morning so I was intrigued to read what the local paper had to say about the bird. 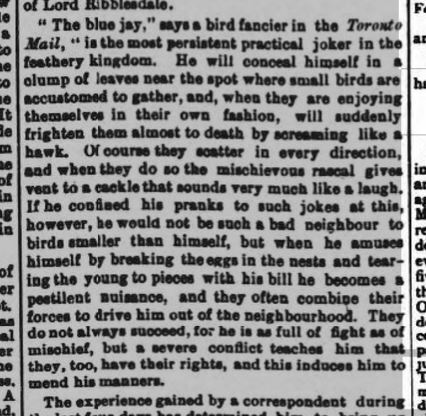 I think the Boscombe jays are rather more reserved than those that “a bird fancier” observed in Toronto in 1892! If only today’s newspapers were as entertaining! You will often find “old news” in House and Family Histories by Woods for the Trees! Contact Steph if you would like to commission a history of your house or family. Mr William Bally was born in around 1769 in the county of Somerset and he went into business as an upholsterer. In the first half of the 19th century, he was living and working in the city of Bath. He took on an apprentice, Thomas Peacock, in 1801. William was in a business partnership with Benjamin Bartrum. The firm of Bally and Bartrum carried on a number of varied business activities from their upholstery warehouse at 10 Milsom Street. They were described as: “Upholsterers, Cabinet-Makers, Auctioneers, Undertakers, and House-Agents”! Bally & Bartrum regularly placed advertisements for auction sales in the Bath Chronicle, until their partnership was dissolved by mutual consent on 25th March 1822. On 13th May 1824, an advertisement appeared in the Bath Chronicle for a house to let at 19 Gay Street. Interested parties were to apply to the house agent or to Mr Bally of Sion-Hill. William Bally continued to work on his own account well into the 1840s. William married Matilda Payne at St. George’s, Hanover Square in London in June 1806; however, it is not known whether they had any children. On census night, 6th June 1841, William Bally, aged 70, who by then was of independent means, was living with his wife, Matilda, aged 55 at their home on Sion Hill. Also living with them were Elizabeth Payne, a relative of Matilda’s, aged 60, also of independent means; and James Payne, aged 14. They had three servants living in: John Sheppard, aged 45; Eliza England, aged 30 and Martha Manning, aged 25. Mr William Bally died at his residence on Sion Hill, on 21st December 1848 at the age of 79. Read more Bath stories here. Or if you would like to find out about your ancestors’ lives, contact Steph at Woods for the Trees. There were 18 people named Greenman resident in Dauntsey on census night of 1841. 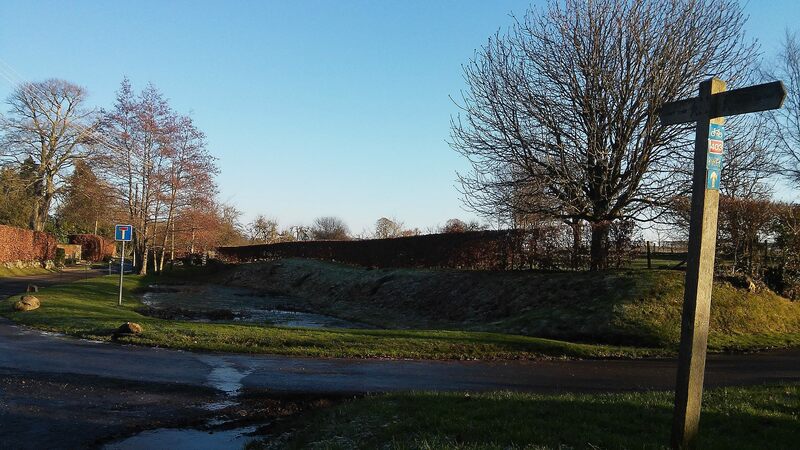 At least one member of the family, David Greenman, had owned land in Dauntsey since 1798 or earlier; other Greenmans occupied land owned by Mordaunt Fenwick, who at that time was the principal landowner in Dauntsey. Several members of the Greenman family were substantial farmers. 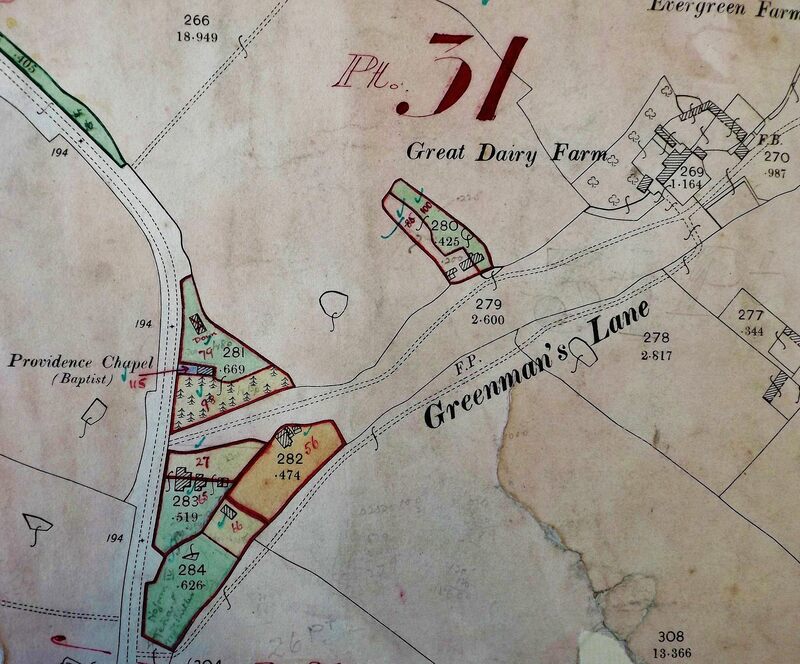 In the 1841 census, David Greenman was described as a “Yeoman” and his farm was called “Middle Green Farm”. He was still farming in 1851 at the age of 81, at which time, he was living at Great Dairy Farm with his wife Mary, aged 61, farming 100 acres and employing 3 labourers. John Greenman, aged 41 in 1841, employed 5 labourers and one boy at Good Munday’s Farm, where he lived with his wife, Jane, aged 48, and son, Elijah. 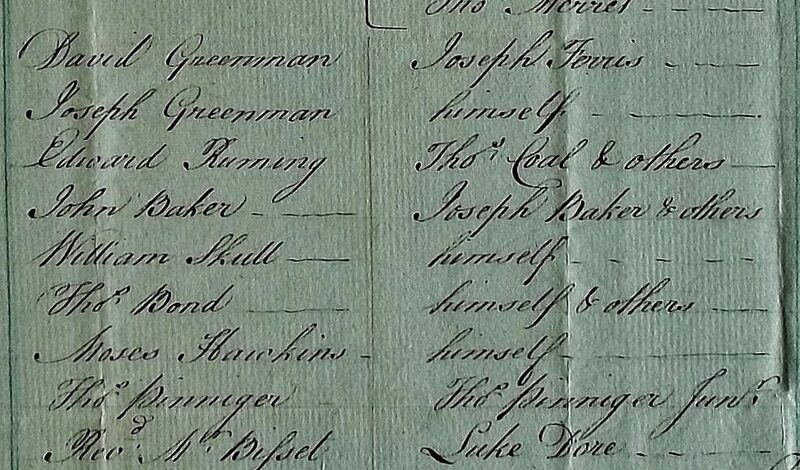 In 1847, John Greenman was also recorded as “Occupier” of Evergreen Farm. Meanwhile, Thomas Greenman was a farmer of 37 acres and a “butter-carrier”. He lived with his wife, Ann, at Lower Park Farm, where he employed one labourer. Thomas and Ann had a daughter, Susannah, who was born in Dauntsey on 6 November 1827. In the spring of 1841, when she was 13, she was employed as a servant by Grocer, Ann Heath who was 60 years of age. Susannah was living with Ann and probably worked both as a “domestic” and in the shop. Susannah married Abraham Skull in 1850 and they went, initially, to live in the neighbouring hamlet of Swallett, Christian Malford. By 1861, they had moved back to Dauntsey Parish and were living at the “Letter Office”. Abraham worked as an agricultural labourer and Susannah, aged 33, was “Worker of the Post Office”. They now had a son, Francis, aged 9, and two younger daughters. In 1871, Susannah and Abraham were still at the “Post Office”. 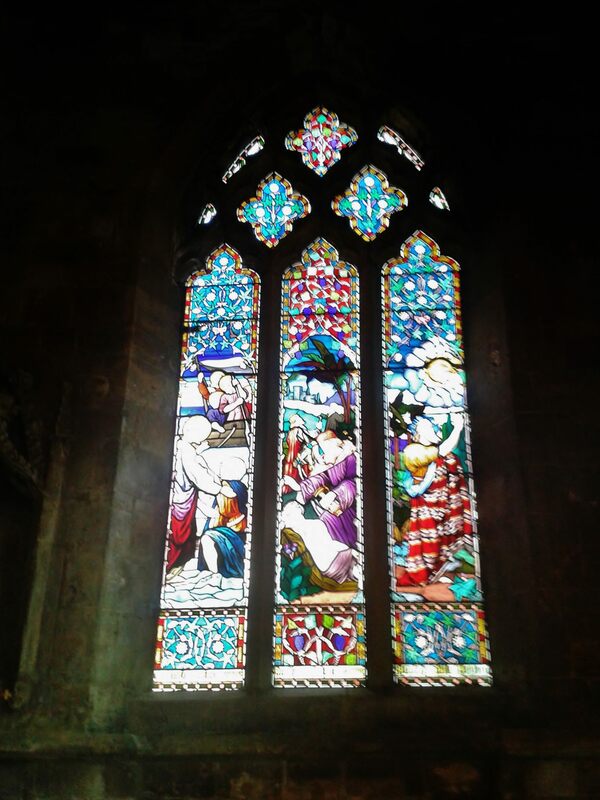 Susannah was now described as Postmistress and Abraham was a Gardener; their son, Francis was still living at home and he was described as “Under Gardener”; daughter, Alice, was an unemployed “General Servant”; also at home was their 8-year-old son, Frederick, who was a “Scholar”. Strangely, there is no mention of a Post Office in Kelly’s Directory of 1875; the entry says, “Letters through Chippenham. The nearest money order office is Malmesbury”. By 1881, Susannah was no longer Postmistress. Her husband, Abraham, had taken over as Postmaster and his son, Frederick was Assistant Postmaster. In around 1890, the local Post Office service was transferred to the village shop. However, Susannah and Abraham continued to live at “No. 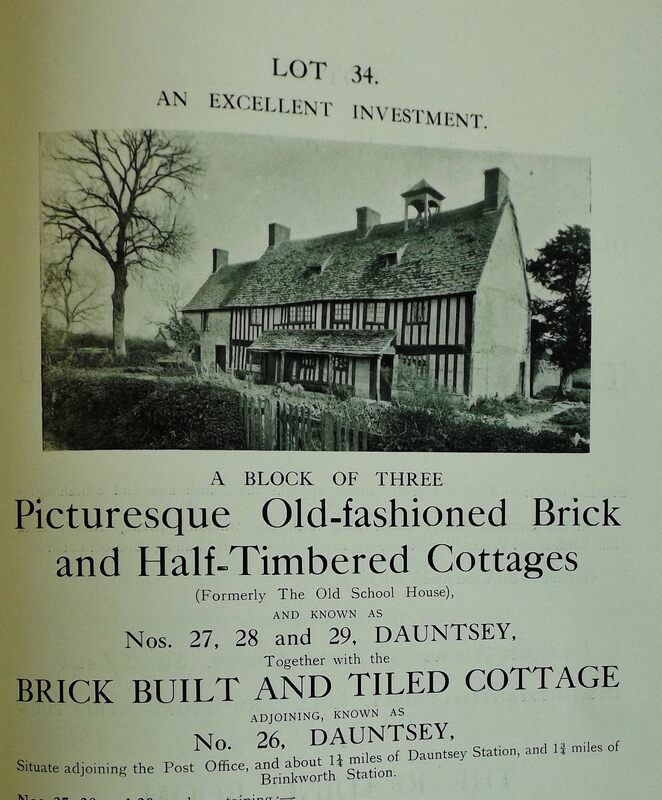 25 Dauntsey” and in 1901, Abraham, aged 79, was still working, probably as a semi-retired bailiff or gardener. Susannah Skull, nee Greenman, died at the age of 80 in 1908 and her husband died at the age of 87 in 1909. 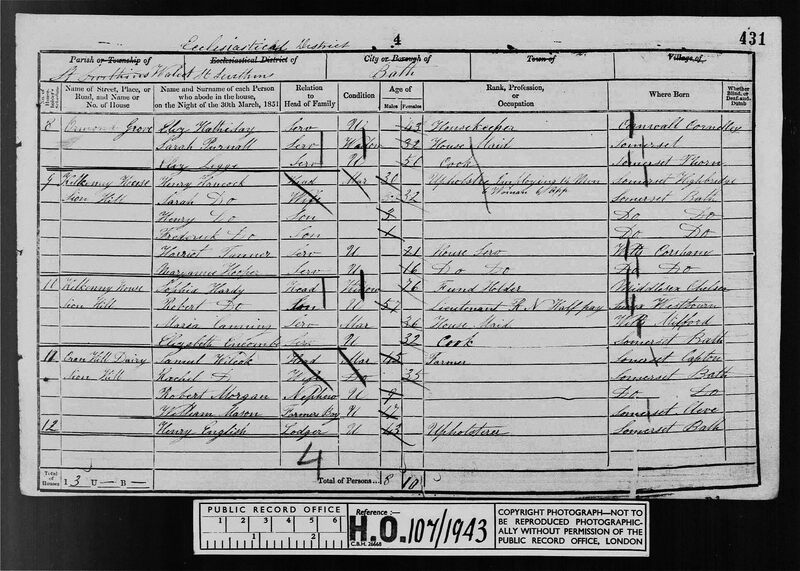 The 1911 census records that there was only one person with the surname Greenman still living in Dauntsey: 76-year-old widow and pensioner Ann Greenman of Dauntsey Wharf. She was living with her daughter-in-law and her grandson, who was a coal haulier. The Greenman name had, however, been passed on to the grandson as his middle name; he was named Joseph Greenman Burgess. Read more about Dauntsey and other Wiltshire families in the New Year. If you would like to discover your own family stories, please contact Steph Woods. 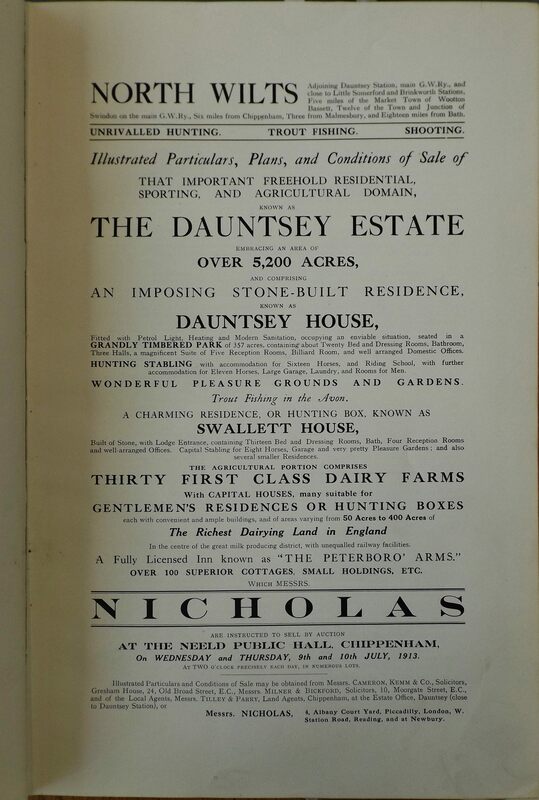 In 1918, Dauntsey House and Park were purchased by Lieut. Col. Edgar Hugh Brassey, nephew of Lord Brassey, who had served in the 1st Life Guards since 1899 when he was 21, and was wounded in France in 1914. The house had no doubt fallen into disrepair since 1906 and probably earlier. It was in 1906 that Lady Meux had decided to sell her estates, which included Dauntsey Park; and the property changed hands a few times before Mr Brassey settled there after the war. During the summer of 1921, and whilst Mr Brassey was away for a few days, repairs were carried out to his bedroom. On July 13th, 1921, the Lieut. 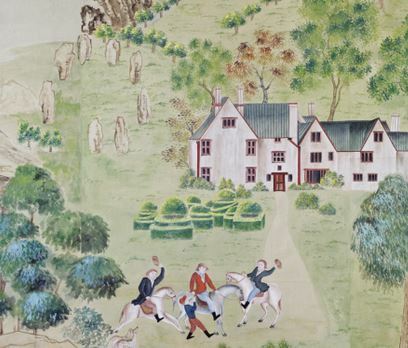 Col. had employed a footman named Charles Ernest Albert, who did not stay long at Dauntsey Park and left on August 31st to take up a new position with the Chester-Masters at The Firs in Poulton. At some point, Mr Brassey noticed that a number of items with a total value of £25 7s 6d had disappeared from his bedroom, including a coral and gold necklace, a carriage clock and barometer and two coats with a great deal of other clothing. However, it was not until three weeks after the footman had left Mr Brassey’s employment, that the thief was apprehended. At 4.30pm on Monday, September 19th, Charles Ernest Albert suddenly left the Poulton home of the Chester-Masters, taking a quantity of jewelry and clothing with him and the police were called. Police Sergeant Hastings discovered that Mr Albert had sent luggage ahead to Fairford Railway Station, before he spotted and arrested the footman in Bridge Street, Fairford. 21-year-old Charles Albert had papers on him stating that he had been in a Reserve Cavalry Regiment for “3 years and 334 days” and he was thought to have been of previously good behaviour. However, it may just have been the first time he had been caught! Charles immediately owned up to the robberies and was tried and convicted by the magistrates at Fairford Police Court. He was sentenced to 6 months’ hard labour. Read more about the families and people who lived at Dauntsey House in Part 3 coming soon. If you would like to discover your own family stories, please contact Steph Woods. 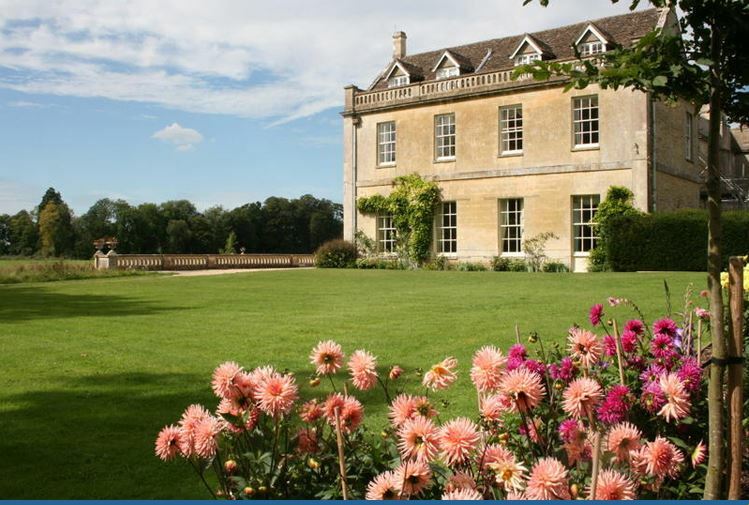 Dauntsey House is situated in Dauntsey Park, in the grounds of what was Dauntsey Manor, close to the the Church of St James the Great. The original house was probably built for members of the Dauntsey family in the 14th century after a licence was granted, in 1344, to Roger Dauntsey for an oratory in Dauntsey manor. The house was occupied by the Danvers family in the 16th and early 17th centuries; by Charles, Earl of Peterborough and Monmouth in the 18th century and later by Sir Henry Meux and his wife Valerie. The oldest part of the house is a hall running north to south which has “a raised base cruck roof of three bays on rubble walls”. Later additions included a chimney stack on the west wall and a stone-walled cross-wing at the southern end, dating from the 17th century or earlier. In the later 18th century, the hall and cross-wing were retained and the cross wing was converted into a large drawing room when the house was extended to the west and faced with ashlar. In the early 19th century, a stair hall and kitchen wing were added to the north of the earlier hall and possibly on the site of medieval service rooms. Below a terrace to the west of the house flows the River Avon, which was straightened, probably during the 18th century and in the 19th century, a lake was created. There is an “extensive brick stable court” to the north-east of the house. 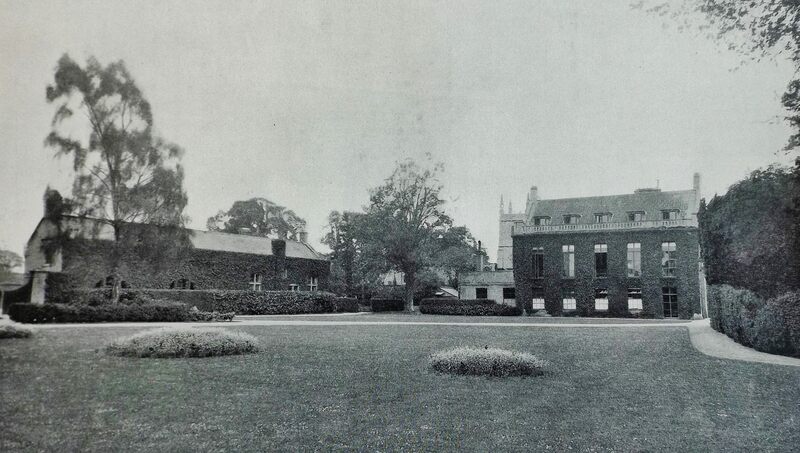 Read more about the families and people who lived at Dauntsey House in Part 2 coming soon. If you like house and family history, you may also like to read the story of Apthorp Villa in Bath. 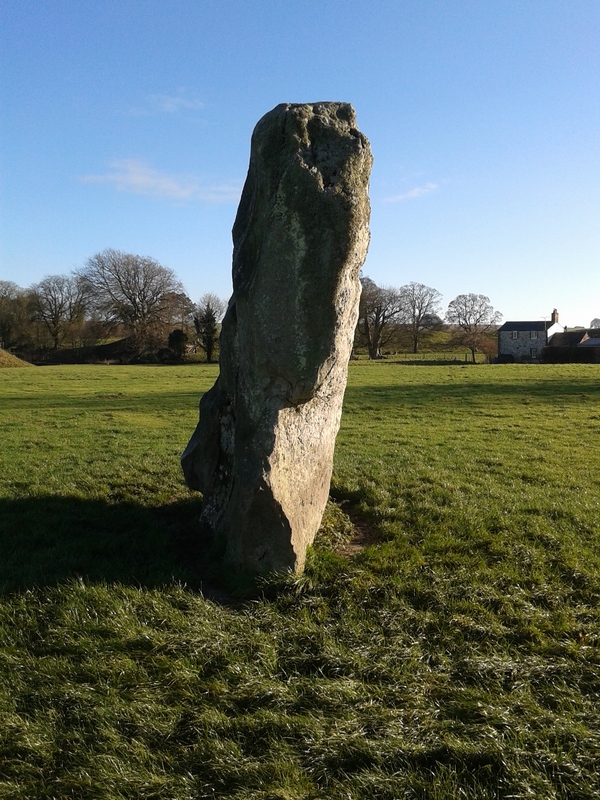 Avebury in Wiltshire is such a fabulous place to visit; not just for the circles of ancient stones, which are the stars of course! The main street has some beautiful houses, you can look down a well inside the Red Lion pub and the parish church is well worth a visit. 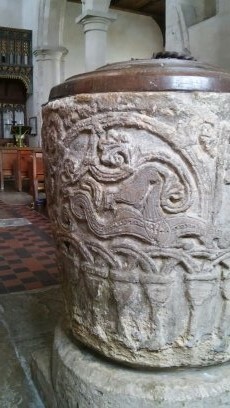 I especially love the font, which may date from Saxon times and is decorated with a 12th century carving of (probably) Christ trampling two dragons. About a mile from Avebury is neolithic Windmill Hill, the largest known causewayed enclosure in Britain – take the footpath from the churchyard via Avebury Trusloe. Avebury Manor was magical at Christmas. The National Trust always deck it out well for the season and I love the Manor’s laid-back attitude to visitors who are encouraged to don period hats and climb into the reproduction beds! I love that the volunteers raised the enormous sum needed to commission another gorgeous-smelling hand-crafted rush mat (made by Rush Matters) for the Tudor bedchamber. The hand-painted Chinese wallpaper in the Governor of Jamaica’s dining room is full of surprises and Keiller’s 1930’s parlour is a joy. We are so lucky being less than 10 miles from a such a precious world heritage site. Do visit in 2015! Get in touch with Woods For The Trees while you are in the area. The initial consultation is free! Calling all House & Family History Fans! Do come and visit Woods For The Trees and read my new case study: the story of Apthorp Villa in Bath. UK Parish Registers Made Easy! So you’ve found your ancestors in 19th century UK census records and identified registered births and marriages back to 1837. But how do you cross over into the “wilderness” that is pre-1837? Church baptisms (not births), marriages and burials (not deaths) have been recorded in parish registers, with one hiatus mid-17th century, since the 1500s. They still are to this day where these events take place in the Anglican parish church or churchyard. Surviving registers for historical life events have usually been deposited in the County Record Office or History Centre. place of birth for the couple’s eldest child. NB – If the head of the household was 40 years of age in 1851, look for a marriage between 1827 and the year after his first child was born. Start with Family Search but be careful: some entries on this site are second-hand! If you live in the UK, search Ancestry or Find My Past for free in your local library: call to book a time slot. If the transcription or image you want is not on Ancestry, search Find My Past and vice-versa. Print out all the possibles that show up in results. The most obvious result is not necessarily the correct result! But you may draw a blank on all of these sites..! Call the record office to confirm that they hold the baptism, marriage and/or burial registers relating your ancestor. Visit the record office: If you live close by, pay them a visit. Parish registers are popular, so you won’t be able to handle the originals. You will be able to view parish registers on microfiche. 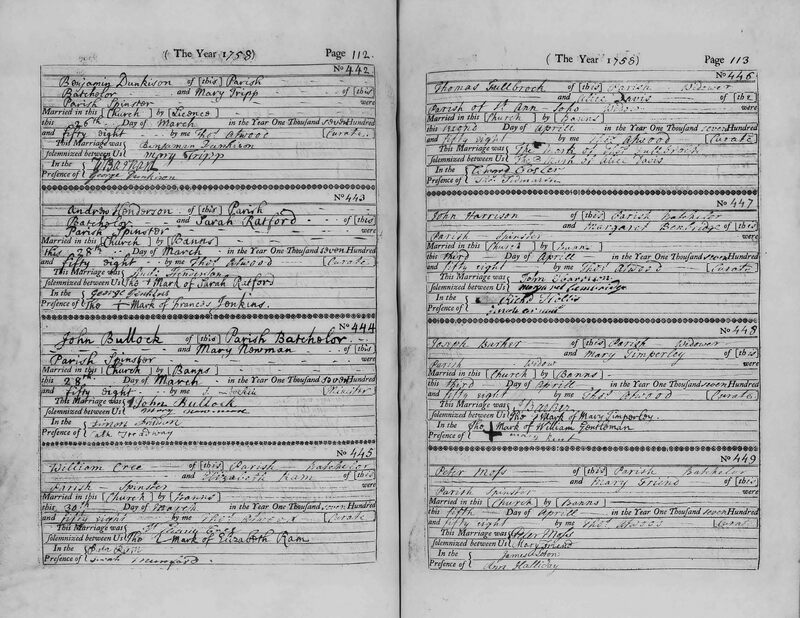 If you have already seen a parish register image online for a likely marriage and one or more of their children was born in the same place (according to the 1851 census), look for their baptisms in the baptism indexes for the same parish! Ask for help with the microfiche reader and how to take copies. Or phone a friend: If you cannot get to the record office ask someone to go for you! Or the staff will often help on the telephone and may do a quick index check for you at low or no charge; however, there will usually be a charge if you want them to send you a copy of the actual register entry – the fee is usually between £4 and £15. Alternatively, Woods for the Trees can search the parish registers for you – for one ancestor or many – at Wiltshire & Swindon History Centre or Bath Record Office. We also carry out research into your family or house history in any part of the UK. Contact us for a free estimate or read more blog posts here.